Happy Creativity Thursday and Happy Halloween! During the Blogalicious Weekend Conference that was held on October 3 through October 5 at the Hyatt Regency Atlanta, I had an opportunity to conduct creativity coaching sessions with a dynamic group of bloggers and social media influencers. It was my first time offering 15-minute sessions. During the sessions, I used a breathing exercise, six-word memoirs, key questions, and deep listening to support each person in identifying strategies they could begin using to focus on their creative dreams and projects. 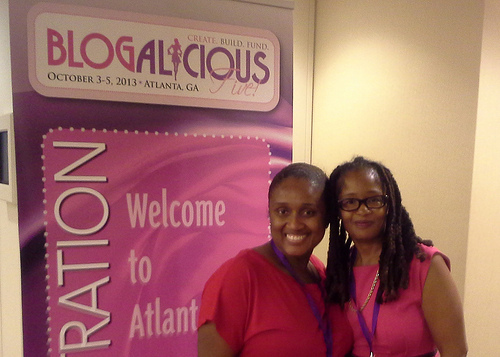 After the sessions, I realized how much I enjoyed working with the Blogalicious Weekend Conference community. That’s why I am offering community members a special discount package on my creativity coaching services that expires on December 31, 2013. See details below. 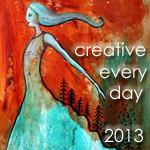 Discount Period: The creativity coaching packages must be purchased via PayPal by October 31 to December 31, 2013. They must be used by December 31, 2014. Contact Information: If you are interested in one or more of the packages, please send me an email at kiamshaleeke@yahoo.com. I will send you a SurveyMonkey link with 10 easy questions that will help me determine how best I can support you. Today, I am getting ready for a powerful episode of Digital Sisterhood Radio which will air on October 30 from 9:00 p.m. to 9:30 p.m. ET. Here’s why it’s a powerful episode: I’ll be chatting with some of the 2012 Digital Sisterhood 100 members a/k/a Digital Sisters of the Year including Veronica Arreola (@veronicaeye), Lauren Brown Jarvis (@heyheylbj), Christine Johnson (@christinecelise), Veronica Woods (mysalonscoop), and Amy Vernon (@amyvernon) about their “Digital Sisterhood” experiences. Each of these women has played a major role in my digital life. They’ll be asking me questions about my new book, Digital Sisterhood: A Memoir of Fierce Living Online. Click here to listen to the show. 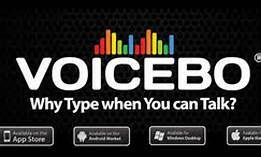 Feel free to participate in the show’s chat room where you can ask questions and share your thoughts. 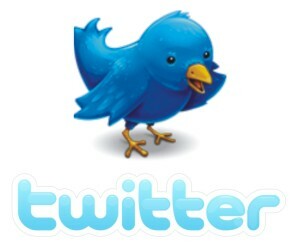 You can also ask questions on Twitter during the show. 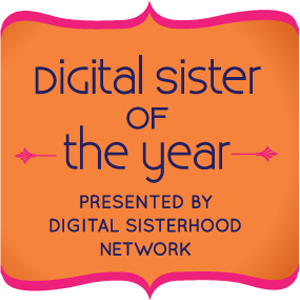 Be sure to follow @digitalsisterhd and the hashtag #DigitalSisterhood. 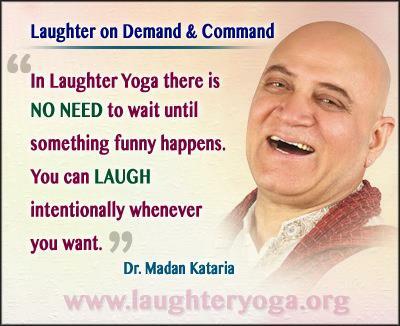 Dr. Madan Kataria, founder of Laughter Yoga, discovered that anyone can laugh for fifteen to twenty minutes without depending upon a sense of humor or comedy. As a result, he designed a blend of playful, empowering laughter, gentle breathing, stretching, rhythmic clapping and chanting exercises to help release tension. Through his work, Dr. Kararia discovered that laughter yoga is a great way to distance yourself from anger, stress, fear, limitations, and anxiety. Have you ever tried Laughter Yoga? 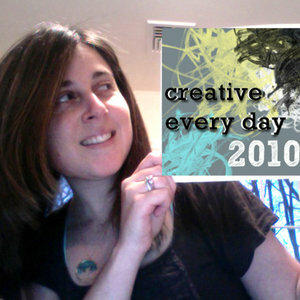 Today’s blog celebrates the 10th year anniversary of of Art Every Day Month. She is also the founder of Creative Every Day Challenge, a challenge that was launched in 2008 to encourage individuals to add more creativity to their daily lives. Click here to learn more about the challenge. I discovered AEDM in 2008 when I was in the midst of a serious writer’s block. Making art each day helped me recapture my joie de vivre! It also helped me surrender to the creative process of making art without any judgment. After a few weeks, I was able to return to my writing with more clarity and energy. The AEDM community is nurturing and supportive. Through their daily posts on the AEDM blog and Flickr group, they taught me how to create art on the go and to leave the judgment behind. I was able to see the beauty and fun in making art just for the sake of making art. The community reminded me how essential art-making is to my spirit. That’s why I plan to join the AEDM challenge this November to celebrate its 10th anniversary. I hope you will join us too. 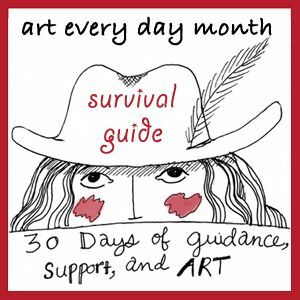 For AEDM newbies, be sure to check out the AEDM Survival Guide for tips on how to thrive throughout this 30 day adventure in daily art-making. PS: My new book, Digital Sisterhood: A Memoir of Fierce Living Online discusses Leah and the power of AEDM in my blogging and creative life. Visit Amazon.com to purchase the book. 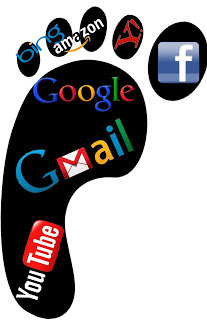 Today’s blog discusses how I use my digital presence for social good and to support Zuri Works for Women’s Health, a Washington, DC-based nonprofit organization that creates national beauty, arts, and health programs that enhance the quality of life, improve their survivorship rates, and increase the health knowledge of women of color impacted by cancer. Click here to listen to my audio blog which includes a short excerpt from my new book, Digital Sisterhood: A Memoir of Fierce Living Online (available on Amazon). Empower women to prioritize their self care. Collaborate, share knowledge, and partner with individuals, communities, and organizations committed to finding solutions to address cancer’s impact on the vulnerable populations we serve. Develop creative, new ideas that address common and unique problems of women in order to increase their use of screening, reduce their delays in treatment, and improve their cancer survival rates. Use evidence-based solutions to engage women about their health and address health care disparities in their communities. I love the meaning of Zuri. It is a Swahili word that means beautiful. It reminds me of my beautiful, bold, and brilliant grandmothers, Dorothy Mae Johnson Gartin (“Nanan”) and Frederica Stanley Roberts Leeke (“Freddie). They both lived with breast cancer. A few years after my grandmother Freddie died of breast cancer, I searched for ways to honor her memory through my wire sculpture artwork. In 2001, I discovered the Smith Center for Healing and the Arts, a DC-based nonprofit health, education, and arts organization that develops and promotes healing practices that explore physical, emotional, and mental resources that lead to life-affirming changes for people affected by cancer. I started working as a Smith Center artist-in-residence in 2002. 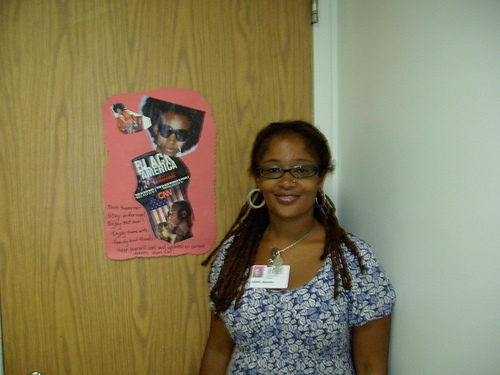 My first artist-in-residency was at Howard University (HU) Hospital from 2003 to 2009. 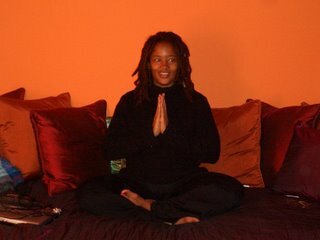 During that time, I shared my gifts as an artist, poet, writer, Reiki practitioner, and yoga teacher with patients living with cancer, HIV/AIDS, and other illnesses. I also conducted staff workshops with the HU Hospital nurses. Click here to read my Flickr blog and see photos of my work. 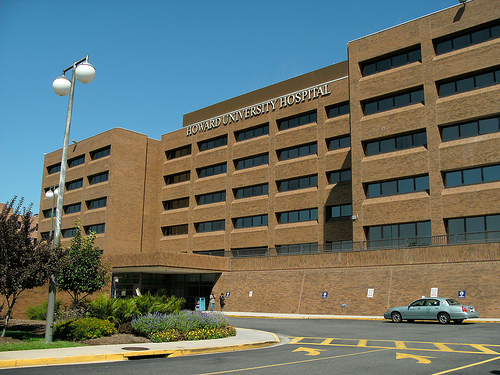 After my contract with HU Hospital ended, I began working with wounded warriors, their family and friends, patients, and staff at Walter Reed National Military Medical Center. For the past two years, I have created interactive Breast Cancer Awareness Month wall collages (see 2012 collage above) for the Walter Reed staff to pay tribute to their family and friends impacted by breast cancer. 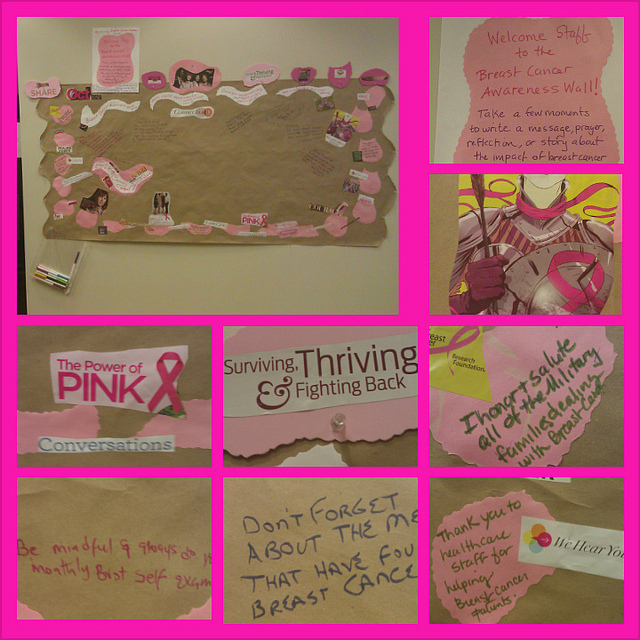 Staff use the collage to write their thoughts about breast cancer and their loved ones. In addition to my Smith Center artist-in-residence work, I have also taught yoga classes as a volunteer and used my digital presence to support social good campaigns like Breast Cancer Awareness Month. This year, I was introduced to Zuri Works by Xina Eiland, my digital sister, PR coach, and publicist. I immediately fell in love with the organization’s mission and work right after I watched Andrene’s video about her cancer journey which began at 25 when she was a second year graduate student. Her story inspired me. Her cancer advocacy work that marries two of passions — health & art — moved me to donate a few hours of my coaching time to help Xina develop crowdfunding strategies for Zuri Work’s Indiegogo campaign. 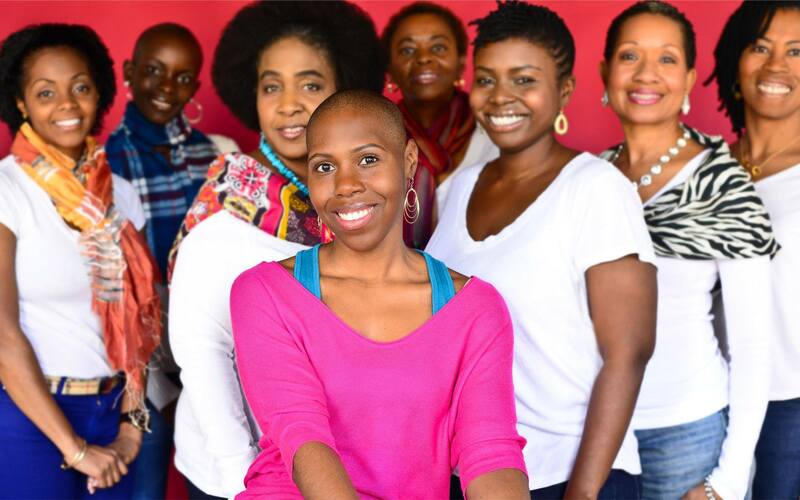 The Indiegogo campaign will support The Exposures Project, a photo education exhibit shot by cancer survivors and THRIVERS which depicts survival stories of women that would otherwise go untold. Watch the powerful campaign video to learn more. I know you will be inspired like I was to give a financial donation. Click here today and make a donation before the campaign ends on October 24. Tell your family and friends to donate too! 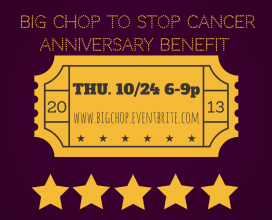 This week, I get to show my love for Zuri Works in person at its Big Chop to Stop Cancer Anniversary Benefit. It will be held from 6:00 p.m. to 9:00 p.m. at 1133 15th Street NW, Suite 1200 in DC. If you are in DC, join me for an absolutely fabulous event. Register here. In a few weeks, I will launch my fundraising campaign for Zuri Works. It will invite my family, friends, Digital Sisterhood Network, clients, colleagues, and social media network to make a donation in honor of my December 18th birthday. Click here to learn how you can create a similar campaign. Happy Yoga Monday – What is your definition of yoga? What does the word yoga mean to you? When I was training to be a yoga teacher at Flow Yoga Center in 2005 and 2006, my teacher, Debra Perlson-Mishalove, gave the class a homework assignment to define yoga. Her assignment me to develop a YOGA acronym. A – Accept yourself in the present moment. I still use this acronym and definition in my classes and workshops. 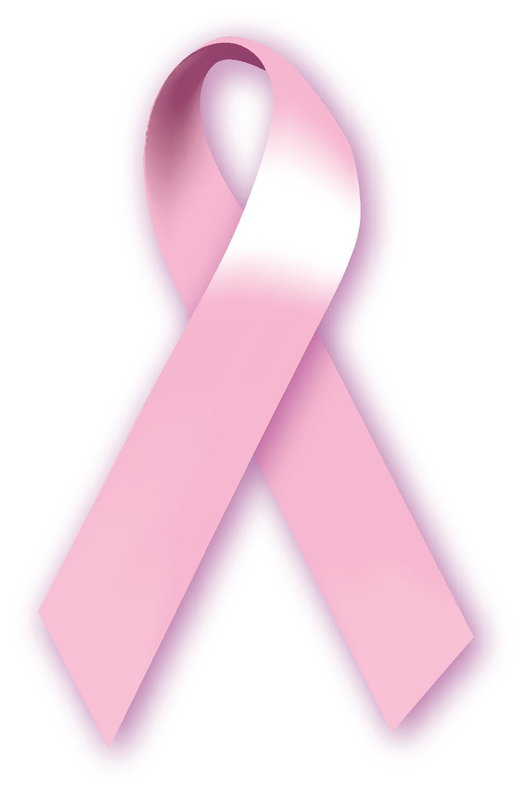 In honor of Breast Cancer Awareness Month, I am teaching the annual Frederica Leeke and Dorothy Gartin Breast Cancer Awareness Yoga Class on Sunday, October 27 from 9:00 a.m. to 9:30 a.m. in Malcolm-Meridian Hill Park. Click here for more details. The kind and gentle yoga class honors my grandmothers who lived with breast cancer. Today’s blog features my VoiceBo audio blogs (2 to 5 minutes) that contain author chats (what the book is about and why I wrote it) and excerpts from chapters in my new book, Digital Sisterhood: A Memoir of Fierce Living Online. Check them out below. Tell me what you think about them in the comment section. Enjoy! 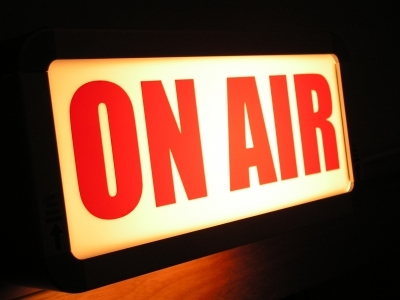 If you would like to listen to the entire collection of audio blogs, click here. If you are in Washington, D.C. on October 19, please plan to my author talk and book reading from 3:00 p.m. to 5:00 p.m. at the Joan Hisaoka Healing Arts Gallery, 1632 U Street, NW (three blocks from the U Street/Cardozo Green Line Metro Station). Click here to register for the event. See you on October 19th! Today’s blog features my latest discovery, YogaJournal.com’s office yoga program. It offers 15 videos featuring yoga poses that can help you release tension in your neck, shoulders, wrists, lower back, and hips. Sienna Smith, a certified teacher of Viniyoga and Anusara yoga, provides instructions for each video. Click here to get started with the office yoga program. Have you ever tried office yoga? Happy Saturday! It’s Day #5 of the Digital Sisterhood Book 11 Day Countdown Campaign. 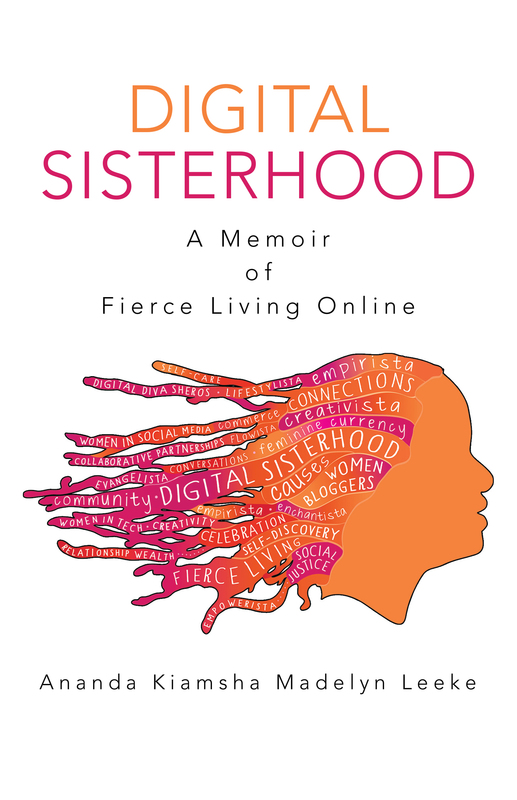 Today’s blog features an excerpt from Chapter 2 of Ananda Leeke’s new book, Digital Sisterhood: A Memoir of Fierce Living Online. The title of Chapter 2 is Truth: I Am My Mother’s Daughter. It discusses the impact Ananda’s mother, Theresa B. Leeke has had on her life and digital experiences.